The taste is pure at Miruku Japanese Restaurant in central Okinawa. Shabu-shabu and sukiyaki are menu headliners, and owner Takeyasu Gibo is proud of the personal touches that make Miruku more than just another restaurant. 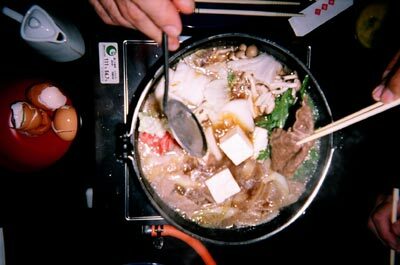 Gibo uses select beef and pork on his menu, particularly Agu, Shabu-shabu and Wagyu sukiyaki. The key he says, is “very tender, and not greasy”. The Shabu-Shabu menu features Agu Shabu-Shabu made with Okinawan pork, at ¥2,500, pork loin shabu-shabu for ¥1,500, Wagyu Shabu-Shabu with domestic beef at ¥2,800, and beef shabu-shabu for ¥1,600 per person. 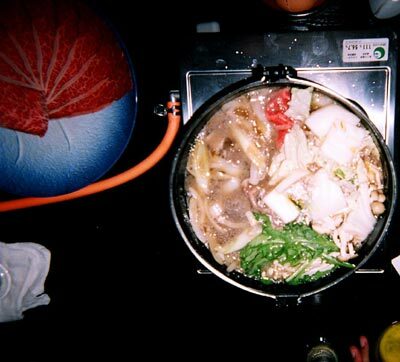 Wagyu Sukiyaki is ¥2,800 per person, while beef sukiyaki is only ¥1,600 per serving. Plenty of vegetables and tofu fill the bowls with every entrée, along with soba noodles cooked together. 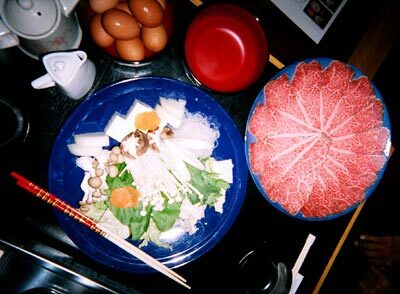 With agu or pork loin shabu-shabu, a raw, slightly whipped egg is used as a dip. The wagyu is so tender, it seemingly melts in the mouth. One diner pondered that “even a completely toothless person can eat it without trouble”, a tribute to tenderness. The newly opened Miruku is open seven days a week, 5pm to midnight. Last orders are at 11pm. Miruku is an ancient Okinawa Gold of Fertility, symbolized as a merry fat man. It is often seen at Ishigaki Islands festivals. Major credit cards are accepted at Miruki. On the beverages side, expect awamori, Japanese sake, wines, beers and soft drinks. Reservations can be made at (098) 935-1080. Miruku is easy to find. Drive from Camp Foster Legion Gate to Okianwa General Athletic Park in the Awase area. After passing Toguchi intersection, which crosses Route 329, look for a Hot Spar convenience store on the left. There turn right toward the seawall and continue driving through the L-shape curve and look for a private style house with Miruku sign written in hiragana. It’s on your left. Free parking is available in front of the restaurant.